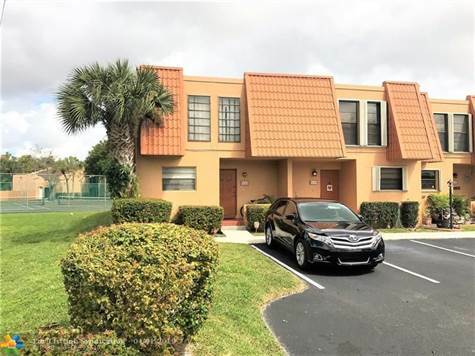 Bright & spacious 3 bedrooms & 2.5 baths corner location townhome in the heart of Pembroke Pines! Property features a private screened in patio overlooking tennis courts and beautiful lake. Spacious kitchen with washer/dryer. Master bedroom has a walk-in closet, 2 assigned parking spaces, steps from two community pool and club house. New Range & dishwasher, Newer Carpets, Newer A/C and can be rented after first year for investors! Excellent area and location near shopping centers, parks and schools. Conventional finance with low down-payment available.